In 2003, Alejandro González Iñárritu’s sophomore feature 21 Grams introduced to American audiences a cinematic voice that they were going to hear a lot from in the next fifteen years. After Iñárritu’s debut feature, the explosive Mexican drama Amores Perros, caught the film world's attention, Focus Features welcomed the opportunity of distributing his first English-language movie. 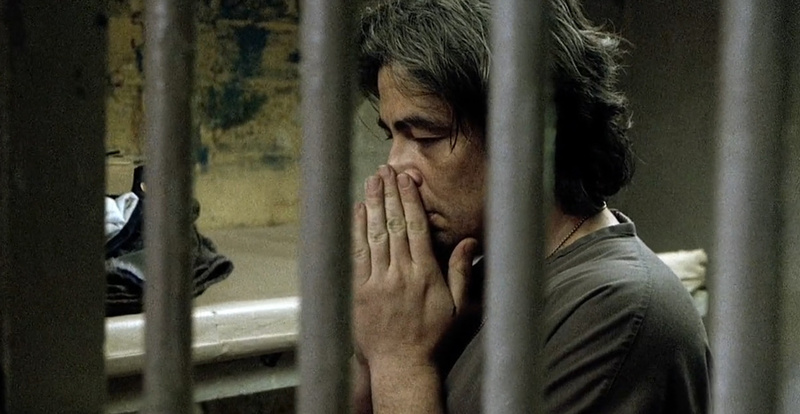 For 21 Grams, Iñárritu constructed a poetic puzzle with his screenwriter Guillermo Arriaga about how fate, coincidence, and hope connect the destinies of three strangers. Paul (Sean Penn) is a math professor in need of a heart transplant. Christina (Naomi Watts) is a recovering addict whose future is shattered when her husband and children die in a hit-and-run crash, a terrible twist of fate that provides the heart Paul needs. 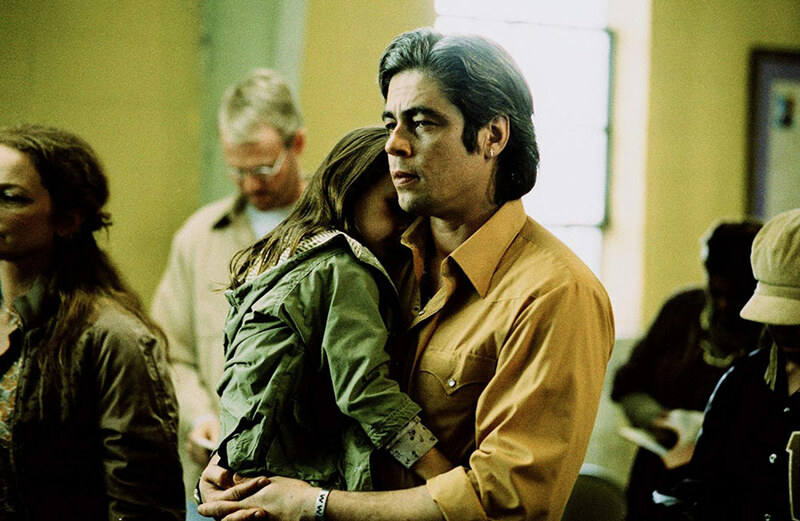 Jack (Benicio Del Toro) is a born-again ex-con whose out-of-control behavior leads to the traffic accident that sets the film’s harrowing events into motion. Get 21 Grams now on iTunes or at Amazon. Driving to his birthday party in 2000, screenwriter Guillermo Arriaga came upon the idea for 21 Grams in the most grisly way possible. Passing a fatal roadside accident, the writer started to wonder how his life would change if he was suddenly involved in crash like that. How could he go on knowing he'd destroyed another's family? A few months later, that dark idea congealed into a complex, suspenseful plot. Arriaga, who’d previously penned Amores Perros, phoned Iñárritu in the middle of the night with his concept. “Okay, write it. I’m with you,” the director told him. 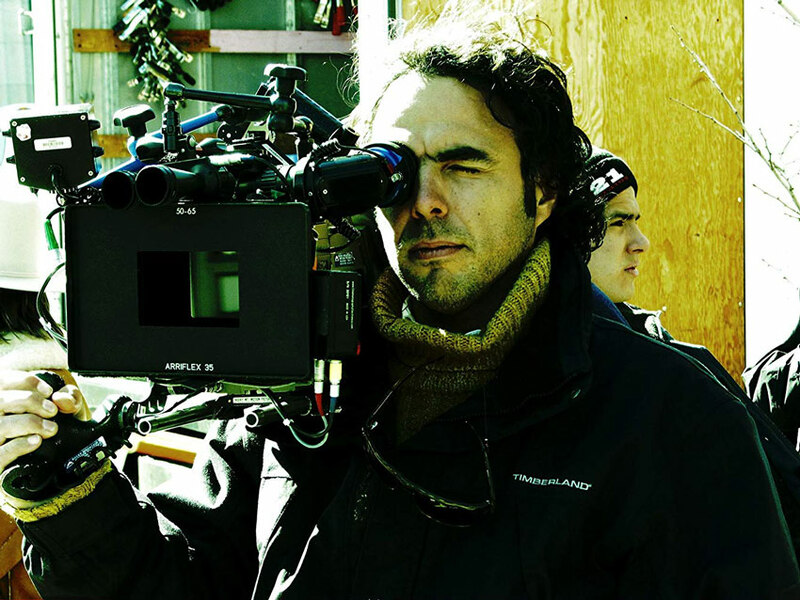 After the screenplay was done, Iñárritu contributed the finishing touch, retitling the film 21 Grams from the idea that a person loses that amount of weight when they die. To illustrate film’s triangle of fates, Iñárritu cast three actors who could fully embody their character’s emotional destiny and the unexpected ways it connects to the lives of others. Having Del Toro play Jack, the ex-con for whom salvation is always slipping just out of his hands, Iñárritu notes, “you see a lot of things going on in him just by putting the camera in front of his face.” Allowing each actor to find his path but also be part of a bigger plan, Iñárritu pulled together a standout ensemble. “To watch these three—working alone and in tandem—is to experience the strange, at times frightening alchemy of screen acting,” writes The Los Angeles Times. “The three are something fierce.” Both Watts and Del Toro were nominated for Academy Awards® for their performances. In his story of coincidence and connection, Iñárritu constructs a plot more driven by emotions than narrative logic. "It's an experimental structure which in the end is a very simple one,” Iñárritu explains. 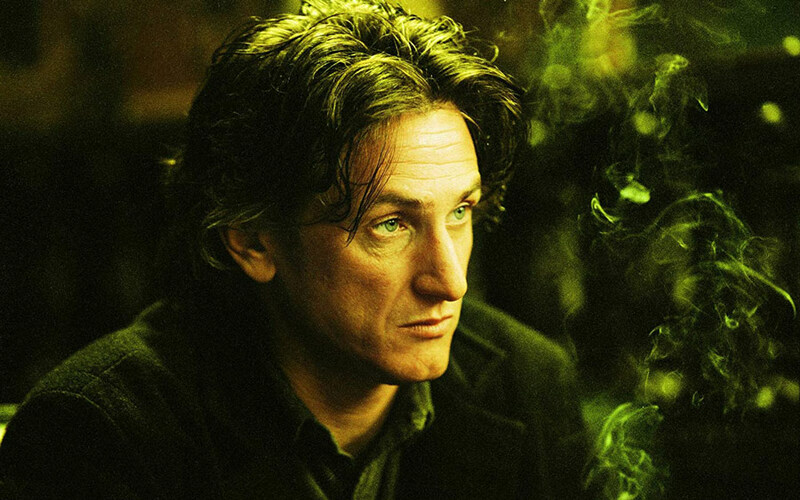 “Once people get the code, everything comes together and there's no problem if I jump from here to here.” 21 Grams creates a singularly new film experience as it jumps back and forth in time, stitching together the motives and consequences of its characters' actions in unexpected ways. Film critic James Berardinelli describes the effect as “a stunning kaleidoscope of a motion picture—a mosaic of images that gradually resolves itself into a powerful tale of tragedy and redemption. While 21 Grams’ themes of mortality and morality are timeless in nature, they resonate with the challenges facing the world today. In 2002, Iñárritu joined ten other international filmmakers to contribute an 11-minute film on 9/11 for an omnibus feature entitled 11'09"01 September 11. That cinematic meditation on loss and trauma in many ways informed 21 Grams. "The journey of Christina (Watts' character)—which is about loss, then grief and confusion and the need of revenge—works on a human scale and on a country scale, which is exactly what happened on Sept. 11," Inarritu reflects.